The beautiful city of Padua sits in the shadow of Venice and is sometimes overlooked by visitors to Italy. This is a pity as it has much to offer. It is worth visiting Padua for its frescoes alone. 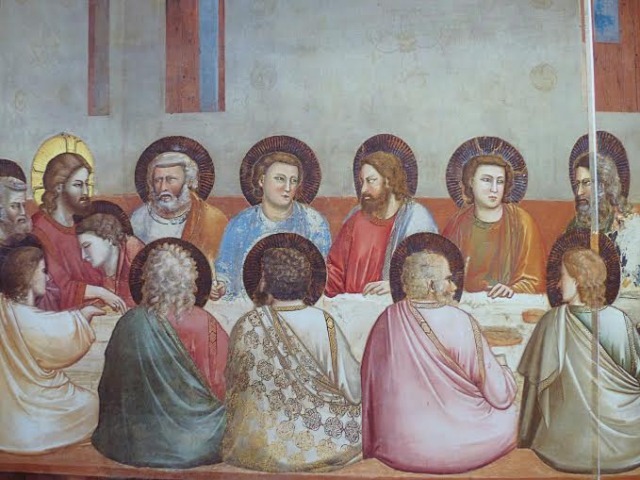 The very best of Giotto’s frescoes are in the Scrovegni chapel, purpose built to house a complete fresco cycle, covering the interior wall space. The fresco scenes are chapters in a coherent, sequential visual narative on the life of Jesus and man’s journey to salvation. Padua has the largest square in Italy. 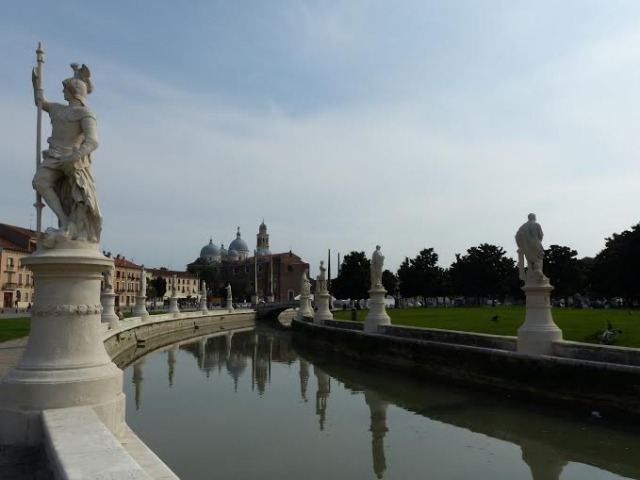 The Prato della Valle is a beautiful green park surrounded by a canal and bordered by 2 rings of statues. While the individual statues are not major works of art, the effect is quite impressive. The park is a lovely open space in the centre of the city. The Basilica of Saint Anthony is stunning with its 8 cupolas, one of which is topped by a golden angel, twin bell towers and 2 minarets. In front of the church is the magnificent equestrian monument of Gattamelata by Donatello. The interior of the church is very beautiful. 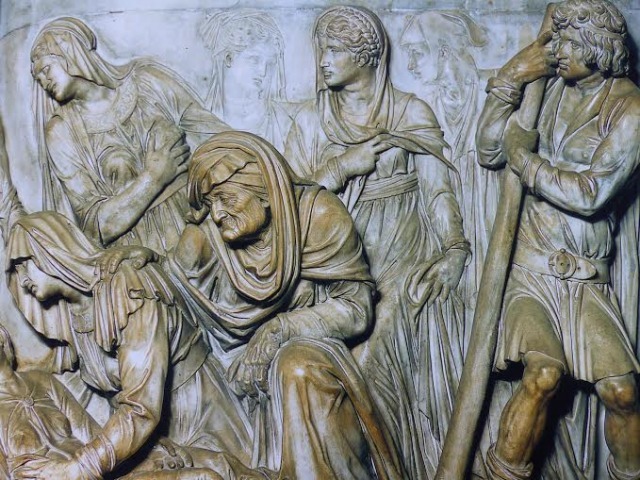 I was most impressed by the high reliefs showing St Anthony’s miracles done in the 1500s. I wanted to reach out and touch them, but of course I didn’t. 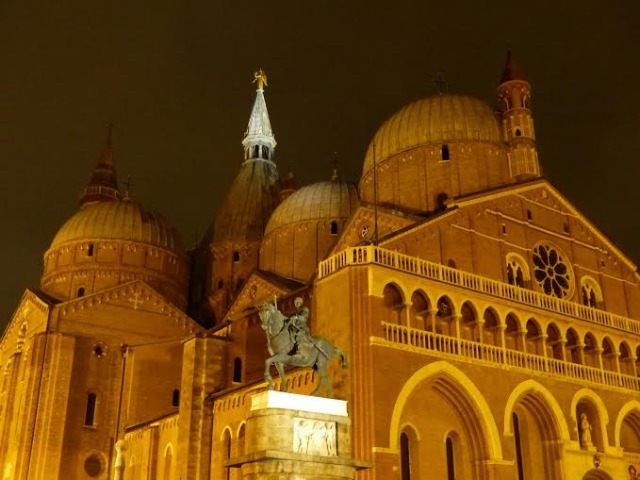 There are many other wonderful things to see in Padua, including the covered market in Palazzo della Ragione, the beautiful botanical gardens, the Palazzo del Bo, now the Padua university and the frescoes beneath the altar in the Basilica of Santa Giustina. Don’t miss any of them. Padua is a city that mixes old with new very well. While you are there have a very special coffee at the famous Caffe Pedrocchi. 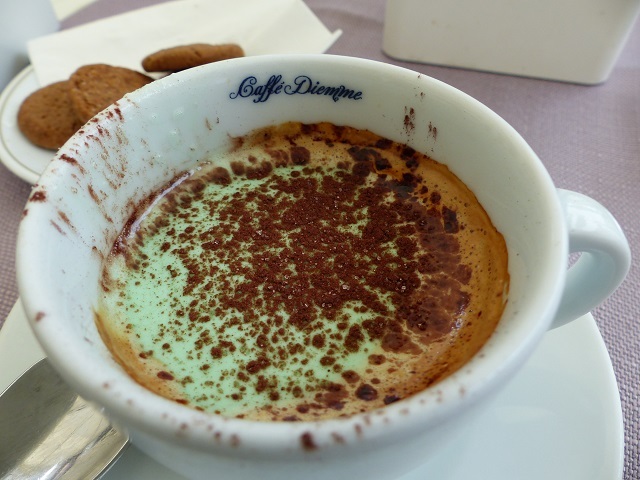 They put a fine layer of mint cream on top of the coffee…delicious. 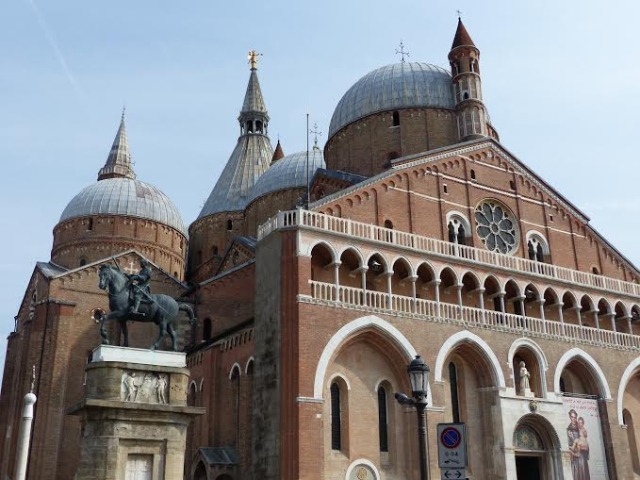 Concierge tip: Padua is an easy day trip from Venice. 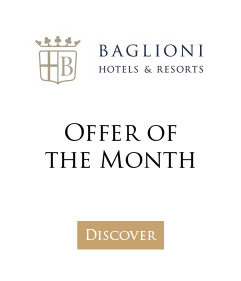 Why not take advantage of the Baglioni Last Minute rate and enjoy up to 15% discount at the luxurious Baglioni Hotel Luna in Venice.